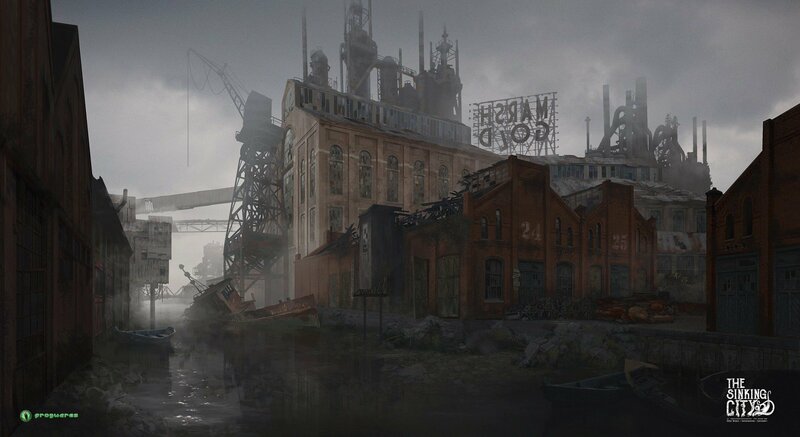 Last month, developer Frogwares showed us how they went about making a demo for their upcoming adventure title The Sinking City. At EGX Rezzed we got a chance to get our hands on that demo and try the game for ourselves. 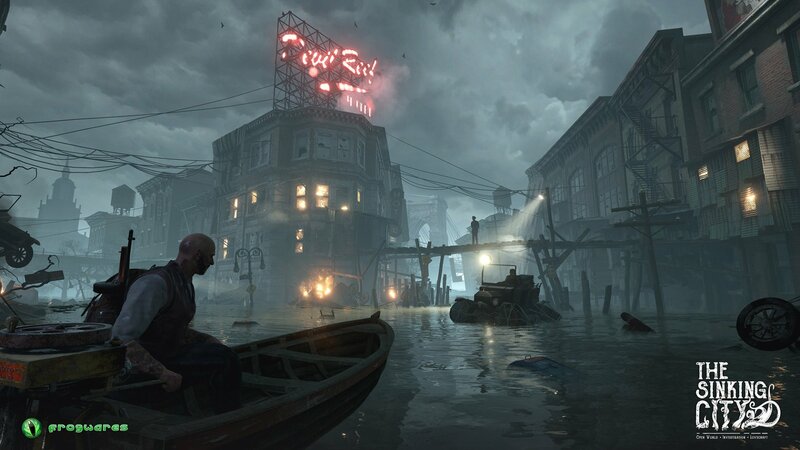 Inspired by the works of H.P.Lovecraft, The Sinking City is set in Oakmont Massachusetts, New England, during the 1920s. The name of the game couldn't be more fitting for the city, which has been ravaged by massive floods. The problem is that the source of the floods isn't entirely natural. Not only are the desperate city residents suffering from disease and madness, there's something lurking in the murky depths of the flooded streets that poses an even greater danger to anybody trying to travel over the waters. This is the first thing we see as our private investigator character is steering his motorboat through the debris that litters the water. First a tentacle breaches the surface, followed by another, and another. Drawing his pistol, the investigator fires at them, but it isn't enough. He's eventually thrown out of the boat and into the cold water, which fills the screen. A few moments later, and in a strange turn of events, our character is standing in a room as the water resides. He walks through the door in front of him to be confronted by a young woman, whose husband has gone missing. Eventually, players will need to solve the mystery of what happened to the town, but at the moment, the side mission we're about to take on is much smaller in scale. Throughout the mission, we interview witnesses and suspects as we look for clues to the husband's whereabouts. We also look for evidence across several locations. Objects of interest are highlighted by a shimmering white question mark. Once picked up, they can be rotated to find points of interest, like an engraving. At one point, we find what looks like a cult symbol painted onto the wall of the room. Knowing that this could be important evidence but that we certainly can't take it with us, we take a photo of it. This won't be an immediate option for players; to be able to take photos, you need to search locations to find some film to go in our camera, just like you would look for ammo to go in a weapon. Once we've collected all of the clues in the mission's first location, we're temporarily removed from reality and are asked to reconstruct the events that might have happened based on the evidence we've collected. These are the investigator's mind maps. We have a body, a sack covered in blood, the cult symbol, and a blood trail, each of which has very brief cutscene to go with it that adds context to what we're seeing. It's obvious that something sinister has happened here and our missing husband may well be in danger. However, given the evidence, he may also not be as innocent as he seemed and this could be the reason for his disappearance. As seen briefly in the demo's opening cutscene, the private investigator can be armed and the game comes with a proper combat system. As soon as we've completed the mind map, a rift forms that blends reality with the madness that's plaguing the residents of the city, and we're attacked by strange bipedal creatures. They can easily be shot, but only if you've thoroughly searched around for a weapon and the ammo to go in it. Throughout the game, players will be hunted by monsters, so it's always an idea to make sure you have plenty of ammo to cope with them. Once the monsters are killed, we return to reality. To make progress in the case, we need to follow our leads. 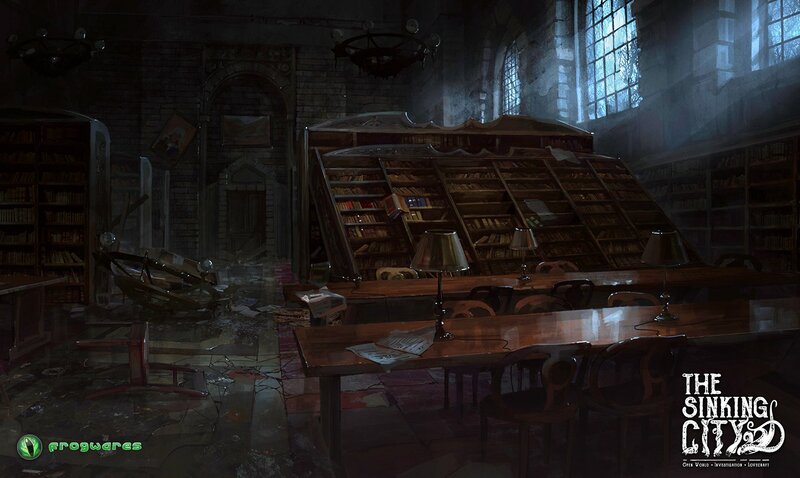 The cult symbol can be researched by heading to the city library. A newspaper clipping found in the same location leads in another direction. The city of Oakmont Massachusetts is large and is separated into districts. Travelling from location to location would be both dangerous and time consuming if you walked and/or sailed to each location every time. Of course, you'll always have to make your own way to a new area of the city, but locations that have been previously visited will likely be near one of the many fast travel points dotted around. Pulling up the game's map will allow players to travel to any of those points, shaving minutes off travelling times. The evidence that is found is key to the avenues that are opened up. It's up to you which lead you follow, or whether you decide to be thorough and chase both. The game will not prompt you to follow all of the leads and you must follow your own initiative. While both will lead players to the same end location, how the case ends depends on your choices. Following one piece of evidence meant you walked into a trap. Following the other meant that you realised something was wrong and avoided it. Whichever ending you get, it will have repercussions later in the game. This game is by the creators of the Sherlock Holmes series of games. Fans of those will know that while the last title allowed for a limited amount of open world exploration in certain locations, the story was still linear, as it had been throughout all of the previous titles. This is not the case for The Sinking City. The game is an open world adventure with many side missions to accompany the main storyline, and the city can be explored as you wish. Completing the main campaign and the majority of the side missions will take players between 30-40 hours, but completionists will likely push that play time even higher. Not only will the side missions have the potential to have different endings, the non-linear nature of the game means that the main storyline will have different endings too. The game's non-linearity was the subject of just one of the questions that has been posed to the team through social media recently. The latest video answers some of the more commonly asked questions about the game, and you can view it below. As Frogwares' community manager Sergey Oganesyan stated, the team will announce a release date for the title when they're ready. For now, we'll just ponder over what we can do differently when we take on that side mission again upon the game's full release.